Last month, I finally jumped on the Washi Tape train by trying to improve the look of an ugly free notebook (check that out here). I wasn't completely satisfied with how that turned out, but I knew I wanted to try washi tape again. First, gather your supplies. I used a ruler, a pencil, and three different kinds of washi tape. Next, plan your pattern. 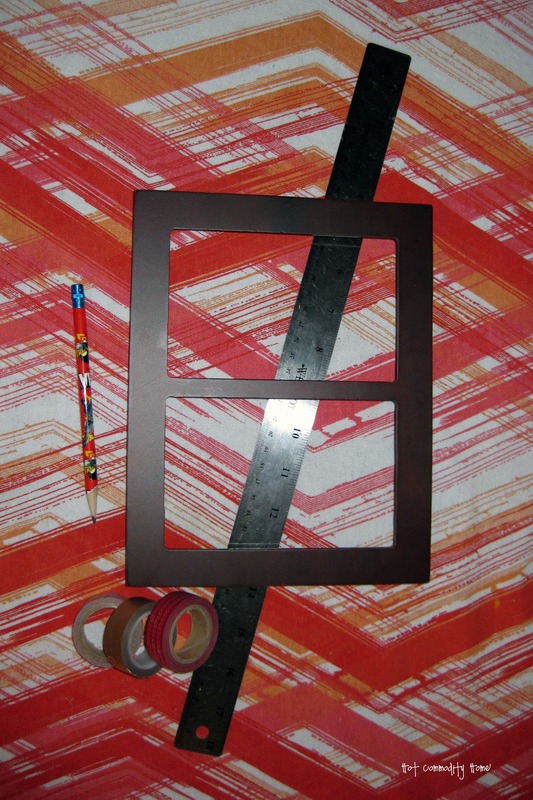 I wanted diagonal stripes, so I first place my ruler diagonally from one corner to the opposite. I drew a line there with the pencil. Then, I made all my other lines parallel to the first one. My washi tape is 15mm wide, but I left my spaces at 1 inch because I wanted a bit of the original frame to show through as part of my pattern. 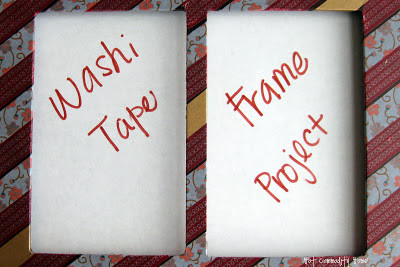 Third, start placing your washi tape along your lines. I started with my burgundy tape, placing a strip on the right-hand side of each line. 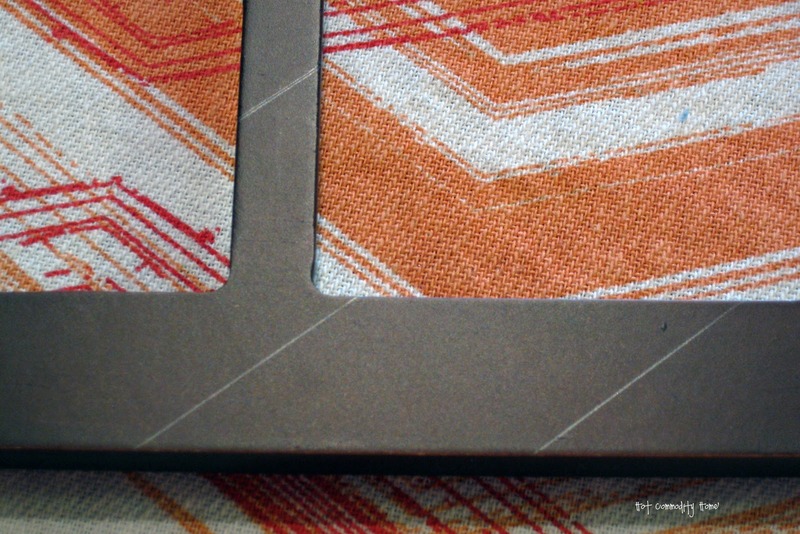 Then I lined up my periwinkle floral tape next to that, leaving the very middle space open for my copper strip. 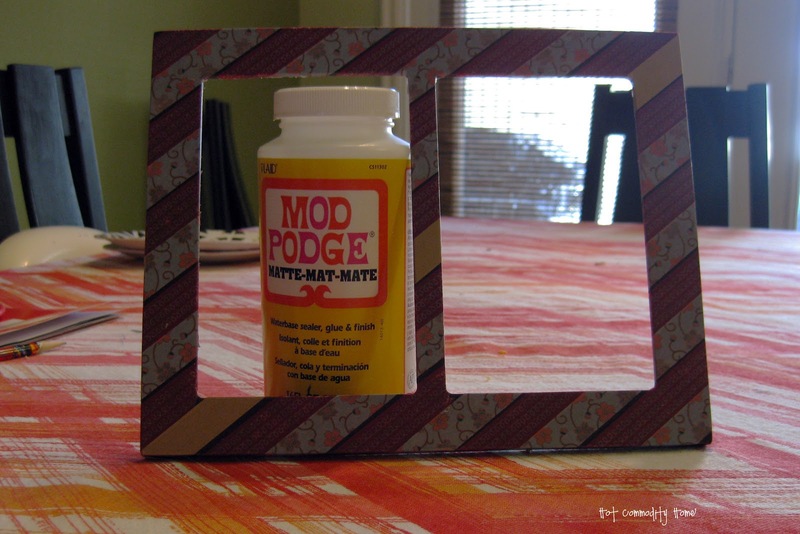 Last, I sealed the entire taped frame with Mod Podge. 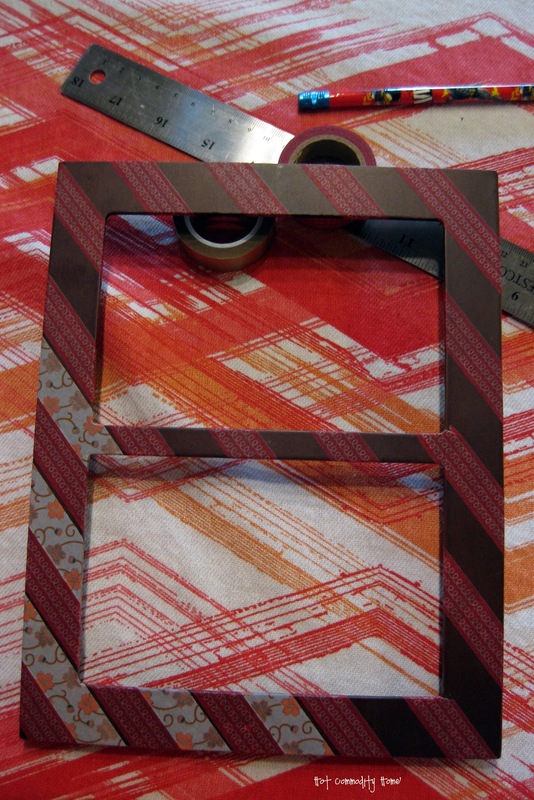 This did not change the look of the tape at all, but helped it remain stuck to the frame. You don't have to seal it, but I found that my tape would eventually start peeling on the ends without a thin coat of Mod Podge. And now I need to figure out what to put in my sweet new frame. I love the way it turned out and I feel much better about my second try at washi tape crafting than I did the first time around. What a great idea to customize a simple frame. I'm visiting from the Hickory Trail blog hop. Very cute craft! Thank you for linking up at Hickory Trail!